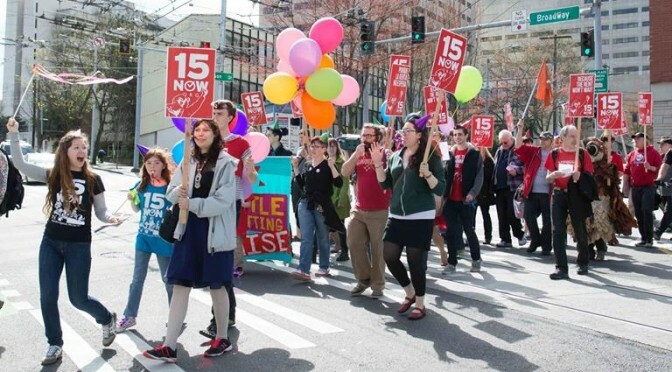 We Can Win a $15 Minimum Wage! 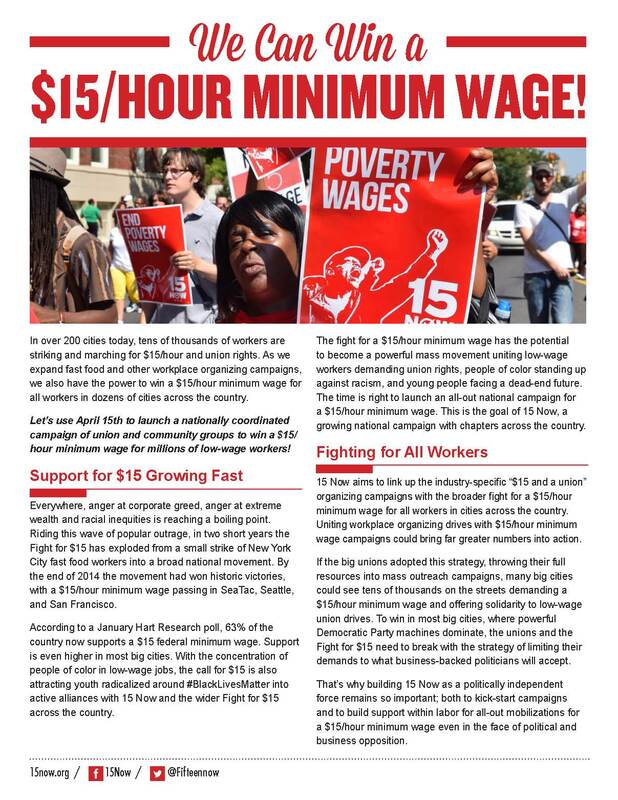 Across the country 15 Now chapters are distributing this leaflet outlining our strategy to win a $15/hour minimum wage for millions of workers. 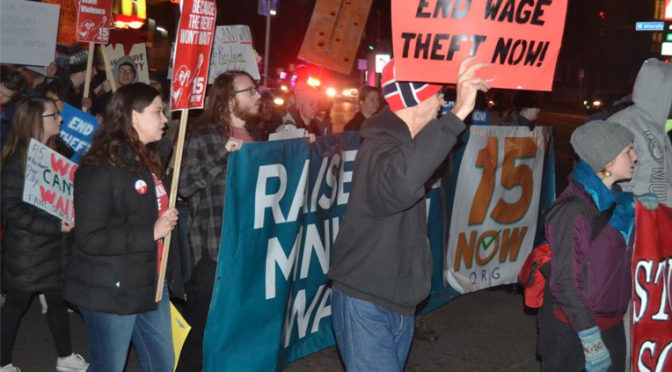 On April 6, students at Northeastern University made history by winning a student referendum vote to implement the nation’s first campus-wide $15/hr minimum wage. The initiative passed with 76.4% of the vote. 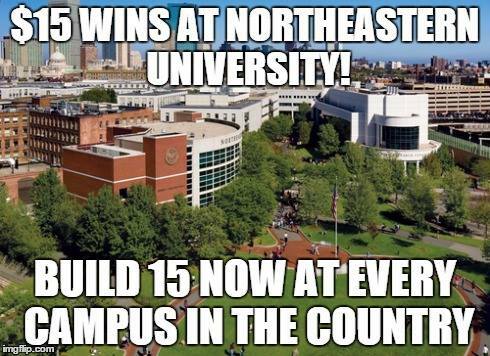 Not only did these students break ground nationally by becoming the first campus to demand $15, they broke ground at Northeastern by smashing all previous election records. While the referendum does not immediately raise wages for campus workers, it shows a clear mandate to address the issue of income inequality on campus and forces the Administration to act. 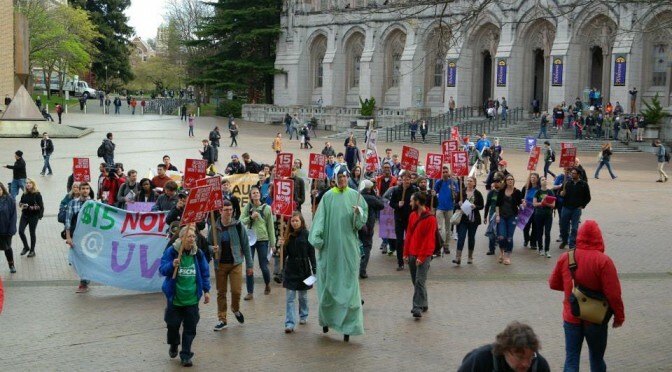 Help spread 15 Now to campuses nationwide. Chip in $15, $50, or $100 today! 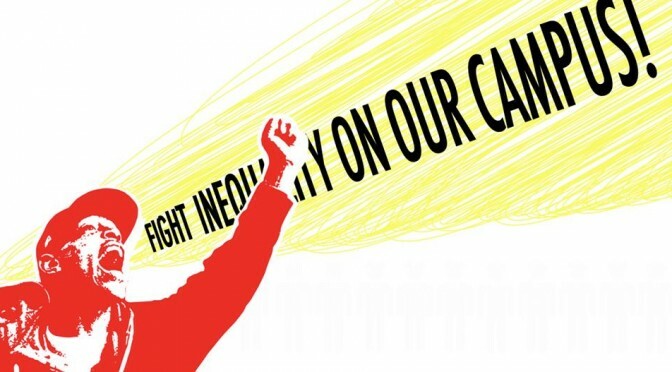 With a coalition of 9 progressive student groups on campus, 15 Now Northeastern is poised to put their university on the front lines of the fight for wage equality nationwide. 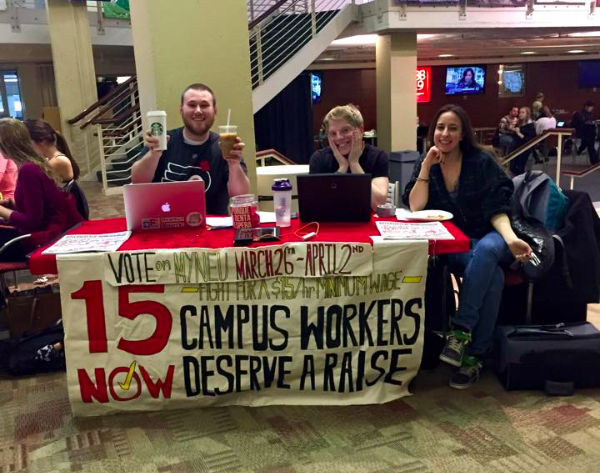 Northeastern students are speaking out and fighting back against wage inequality on their campus. The president of Northeastern, Joseph Aoun, is the second highest paid university president in the country, earning over $3.12 million in 2011. 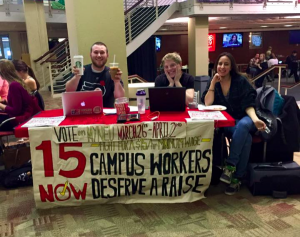 In the face of many campus workers earning poverty wages, this is unacceptable. With the support of the student body, and along side campus workers, 15 Now Northeastern will be demanding public negotiations with the school’s administration. This will be a difficult and heated process, considering the antagonistic history of Northeastern’s administration towards progressive campaigns on campus. 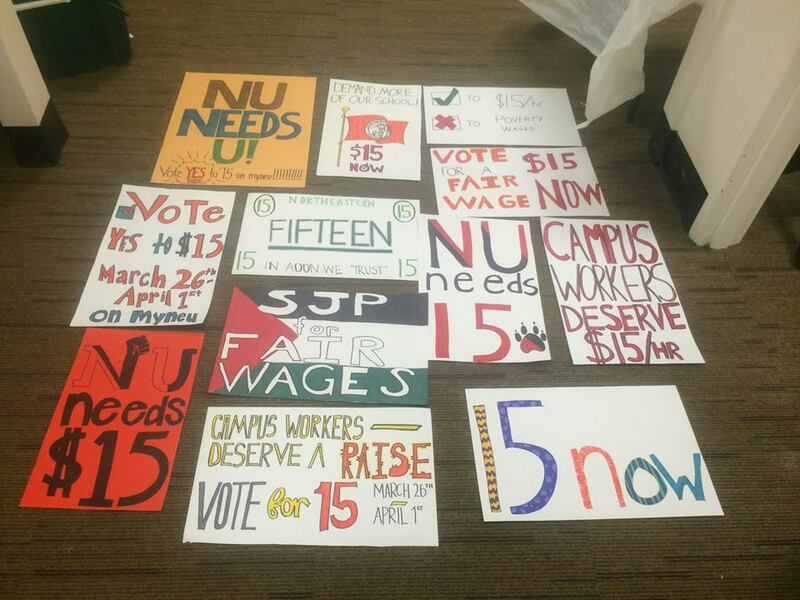 Nonetheless, Northeastern students are ready to take on their administration and demand $15 for all campus workers! We need to build on this victory by spreading 15 Now to every campus, city and neighborhood in the country. 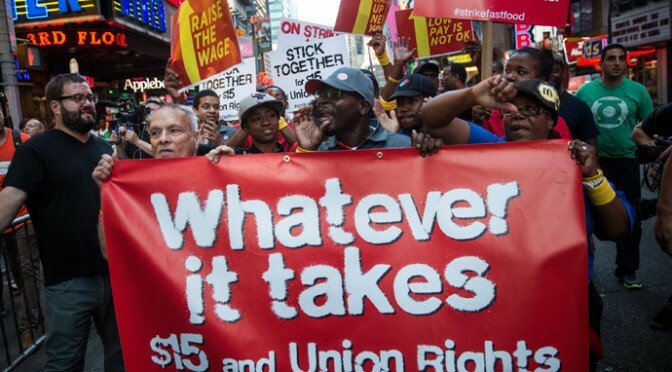 The movement for a living wage is growing and winning more and more victories every week. On April 15th, workers, students, and community members will be marching in over 200 cities nationwide to demand $15/hr for all workers. 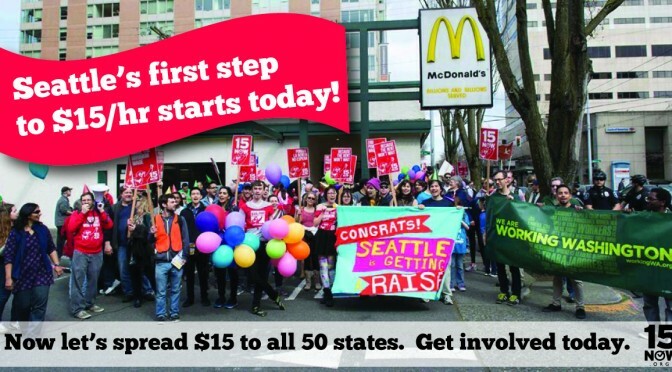 Join 15 Now in marching on this national day of action – RSVP here. Want to start a 15 Now chapter on your campus or in your neighborhood? Contact 15 Now Northeastern at 15nowNU@gmail.com or 15 Now national at info@15now.org. 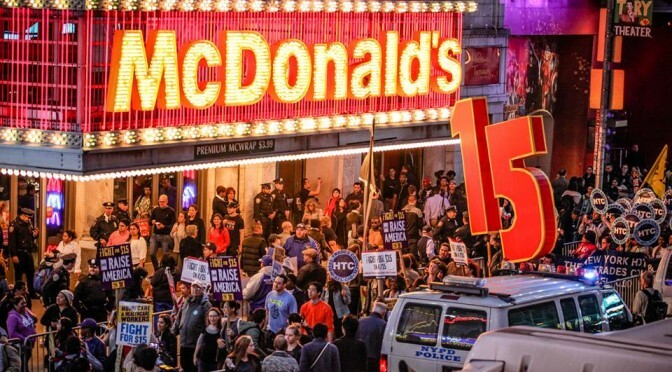 On April 15, fast-food strikers and other low-wage workers are planning their biggest protests yet for “$15 and a union.” The driving force behind these actions, the Service Employees International Union (SEIU), reportedly aims to turn out 60,000 workers and supporters in over 200 cities across the country. 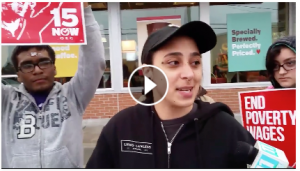 Chapters of 15 Now are going all-out to build for the April 15 demonstrations, to demand union rights and raising the minimum wage to $15 an hour. 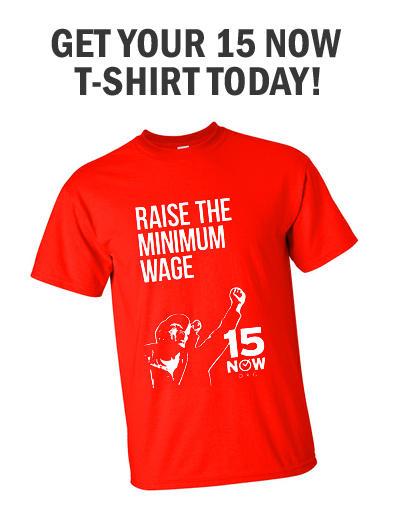 According to a January Hart Research poll, 63% of the country now suppors a $15 federal minimum wage. Support is even higher in most big cities. 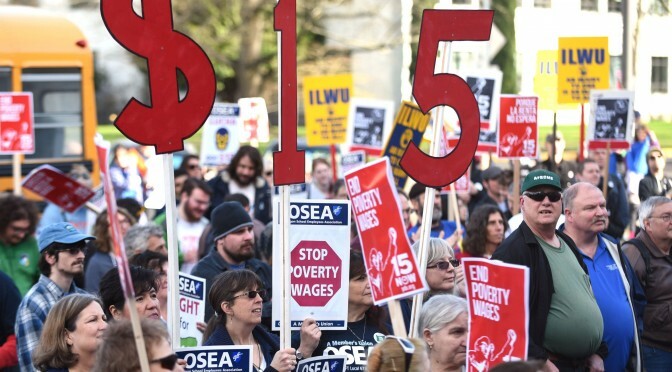 The time is right for the big unions to help launch an all-out national campaign for a $15 an hour minimum wage. Let’s use April 15 to kick things off! Everywhere, anger at corporate greed – and the extreme wealth and racial inequities – is reaching a boiling point. 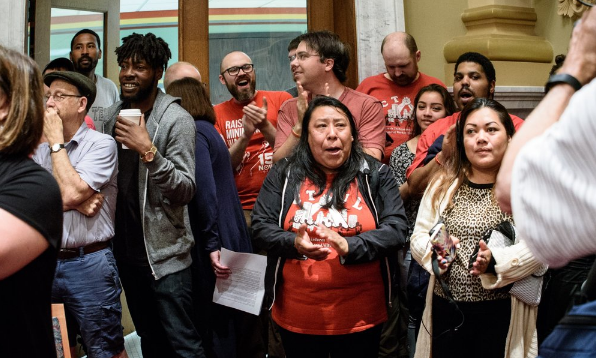 The fight for a $15 an hour minimum wage has the potential to become a powerful mass movement uniting low-wage workers demanding union rights, people of color standing up against racism, and young people facing a dead-end future.